New 2018: Now includes a digital diagram showing how it should be connected. Step by step plans to teach how to build an Automatic Ink Circulation System with Arduino Board. 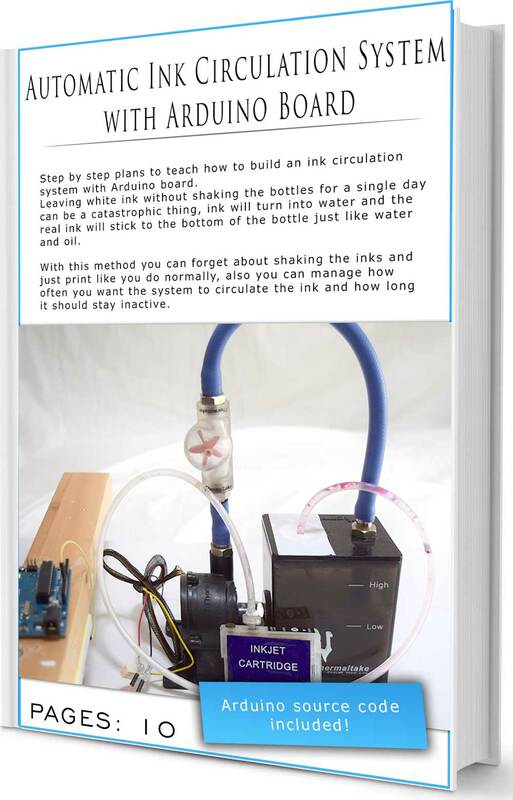 Leaving white ink without shaking the bottles for a single day can be a catastrophic thing, ink will turn into water and the real ink will stick to the bottom of the bottle just like water and oil. 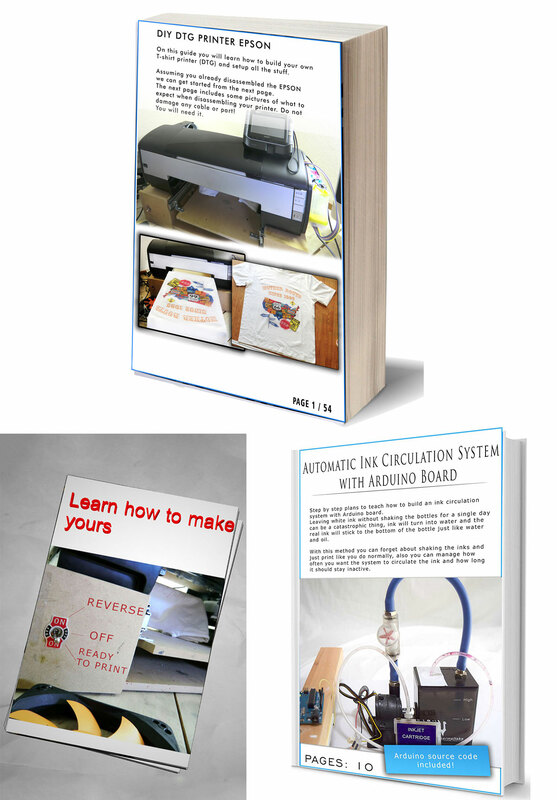 With this method you can forget about shaking the inks and just print like you do, also you can manage how often you want the system to circulate the ink and how long it should stay inactive. Delivery via Download instantly after purchase. 10 Pages with illustrated images. NEW: Now includes a digital diagram to make it even easier!